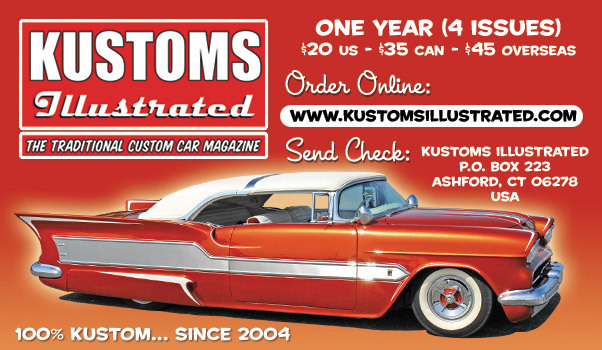 In the late 1940’s and thru-out the 1950’s Motor Trend Magazine featured some great Custom Car articles. 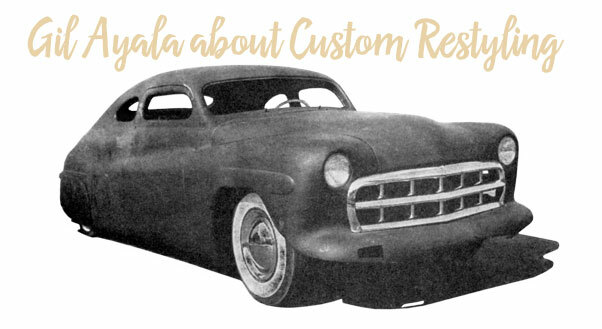 Especially in the early years, from the late 1940’s till around 1953 the magazine published some good material in a time very little was published on Custom Cars. I have noticed that some of the MT articles published back then were perhaps not as accurate as they could be, most likely since MT-magazine was an all-round car magazine. 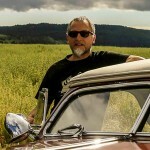 Possibly the authors of the Custom Car articles had no real connection or to much knowledge about the subject. But overall the information shared, and especially the photos shown are of historic importance, and a great source for early Custom information. 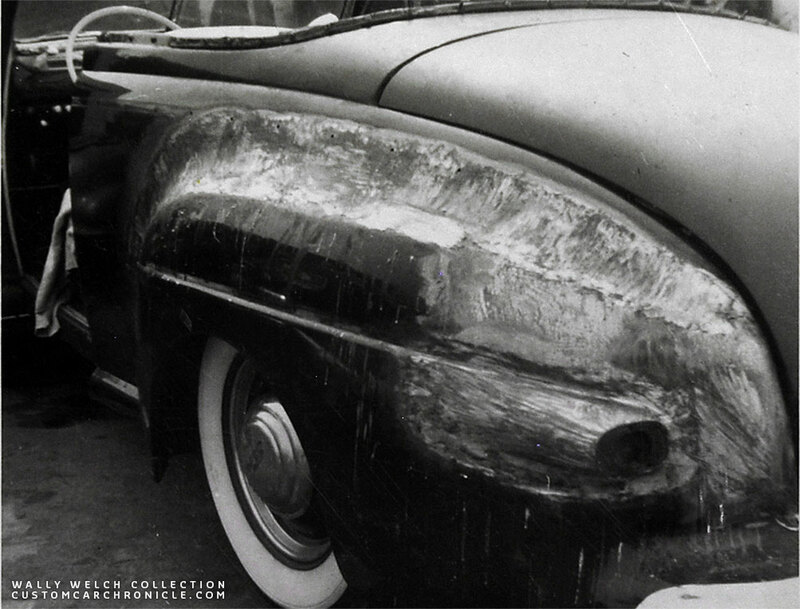 In the April 1950 issue of Motor Trend Magazine there is a three page article titled WHAT IS RESTYLING? Motor Trend staff writer George Finneran goes on tour visiting a few of the major Custom Car shop in Los Angles to ask the opinion from the experts on what restyling is. 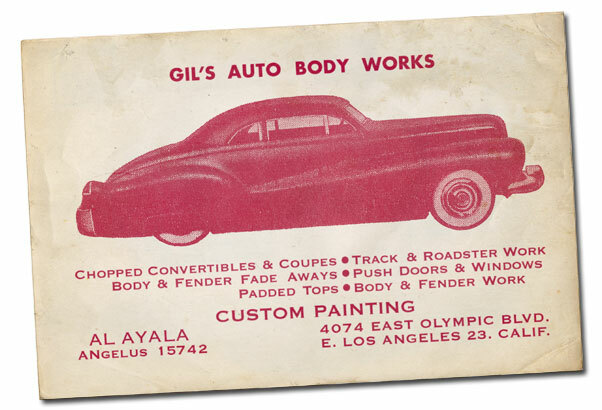 One of the shops he visited is GIL’S AUTO BODY WORKS in East Los Angeles. Here he talks with Gil Ayala about the subject. A pretty unique interview that opens with some interesting information about a new secret car the Ayala’s are working on. The description sounds interesting, but I do not think the car ever made it further than the model described in the article. Thomas J. Medley joined the author on their Custom Shop tour and took several photos to illustrate the article. 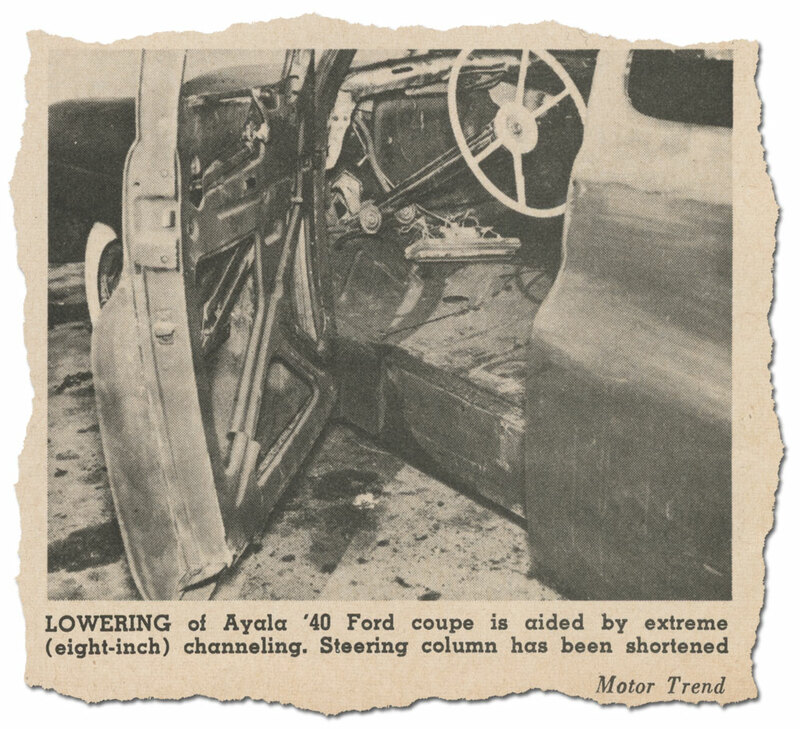 He shot the in progress Jack Stewart 1941 Ford at the Ayala shop. 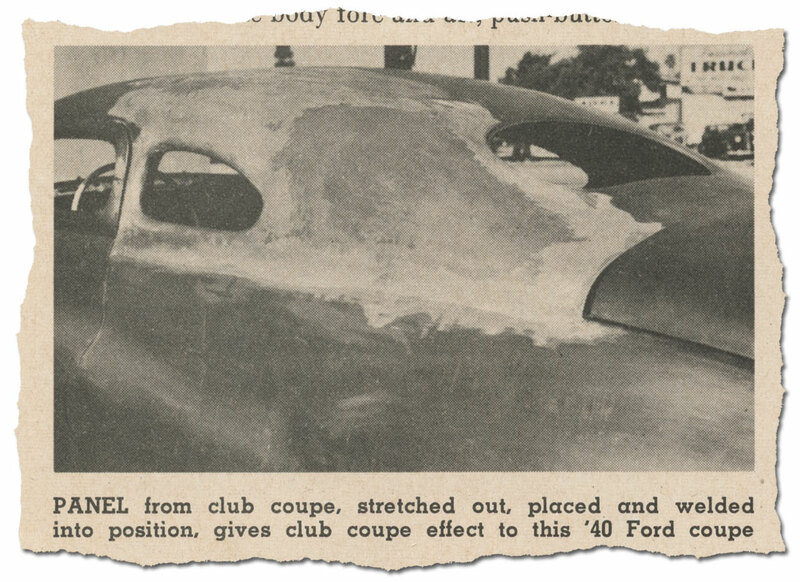 Famous photos showing the channeling of the body and how the California Metal Shaping panels were incorporated in the re-chopped top. 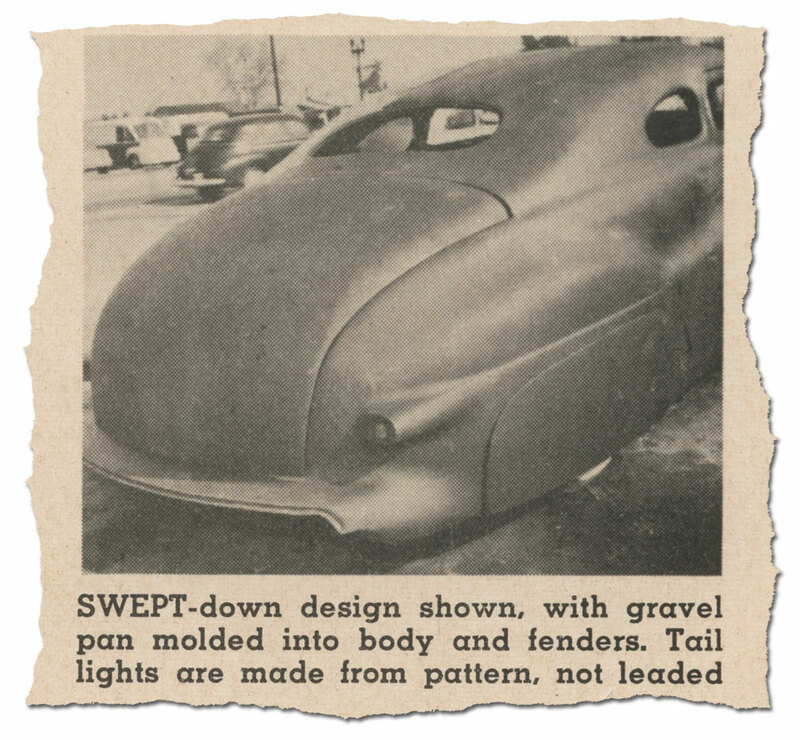 A few of the photos of Jack Stewart’s 1941 Ford are mistaken for a 1940 Ford in the article. I arrived at Gil and Al Ayala’s Auto Body Works and soon ferreted out a scoop. Gil and Al, who have been in restyling business for a long time, are also working on a secret super-restyling car, the details of which are off the record. A scale model, however, has already been built and tested in a wind tunnel; this much, and a little more, I may divulge. The car itself will be powered by a V-8 engine with full speed equipment. Gil and Al expect it to clock 150 miles per hour. Several unusual features are being incorporate into the styling. Each front fender will come to a point, forming a razor-edge line on either side of the grille. These lines will be covered by chrome strips. Te grille will be set back from the front of the fenders. Finally, the top will be similar to the hard top on the Buick Riviera model but it will be held on by five clamps, easily removable in good weather. The allover appearance of the car will be reminiscent of the Lincoln Continental. No pictures of the model or detail sketches are being released now. I thanked the brothers Ayala for tipping me off and asked them how they got into restyling. 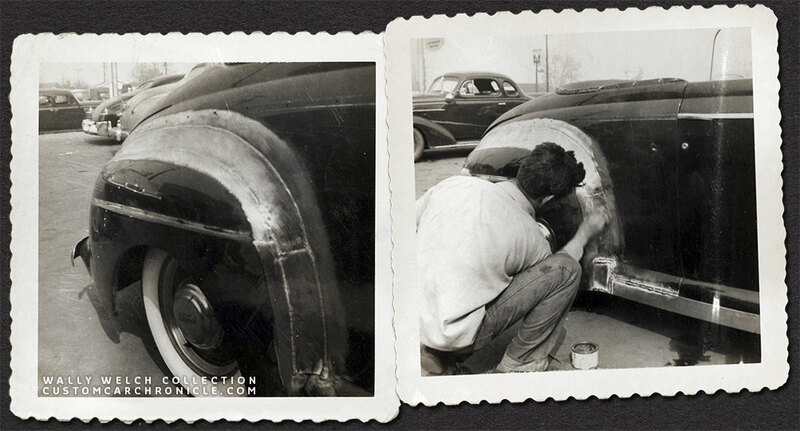 It seems that Gil Ayala began resting sand also working on engines in 1940 in Alhambra, California. Since then, along with some hot rod and midget racing, he has devoted his time to restyling and full-scale designing of light, fast cars. Al joined him in 1945 when Gil started his own shop. “Shall we define something?” I said. Reluctant, but willing to die for the cause. Gil explained his definition of molding and reshaping. Molding, of course, is a fairly simple term and is actually just the smoothing-in of all fender, body, and other joints with a fillet of lead to produce a smooth, flowing merge of surface curves. Planing, or reshaping, is a fairly new variation on molding, actually designed to reduce the amount of lead ordinarily used to smooth out a car’ contours. Instead of filling, for instance, the crevice between the rear fender and the body with lead, a curved, light sheet of stock is brazed or welded onto the body and fender. Lead is then lightly applied over the welding (or brazing) humbs and the whole contour smoothed out, the sang a deep filling of lead. Not only is lead heavy but it is expensive. Planing is usually applied to any smoothing-out operation used on a metal panel and forming is any operation applied in order to re-create the form of the panel. Shaving is usually applied to the reformation of the hood and the frontal area. 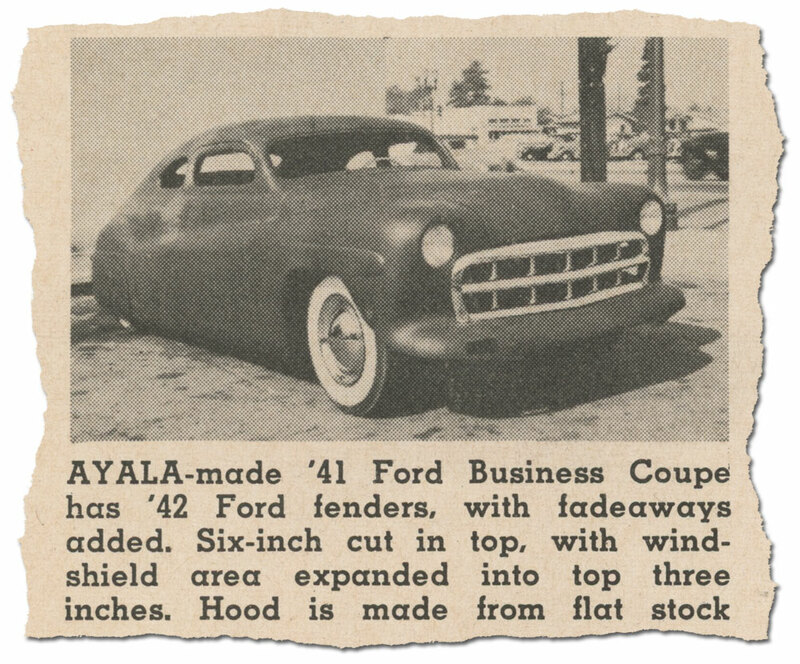 These progress photos of the Wally Welch 1941 Ford taken at the Ayala shop illustrated perfectly what is describe in the MT-Article. Lead applied over the shaped metal section that was used to mold the fenders to the body with a nice curve. Using these shaped metal sections saved on the amount of lead used. Plus it made the restyling work much more durable. 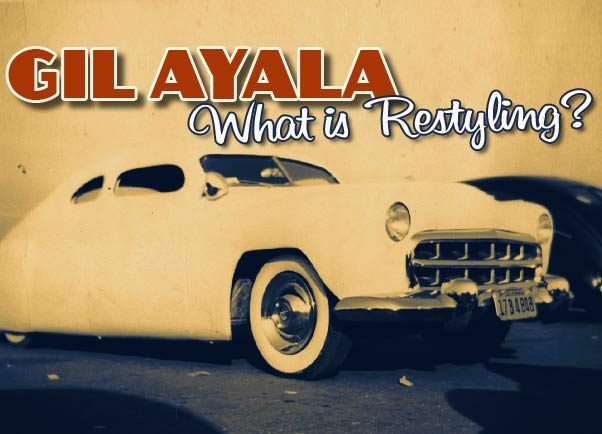 Gil classifies most of the work he has done into restyling modifications and complete restyling, the latter being the actual creation of a custom-design car. This is true of the most professional re-stylists. Either their customers want a stock model car changed here and there, retaining the original lines of the Detroit product, or – and this is the rare case – the customer will put out his hard-earned cash for an entirely new body on a stock chassis. Great article but I wish it was a lot longer. Rik, with these discoveries from those very early articles, it is fun to trace back when and how some of our specialized terms in customizing started, and have evolved. Each new trick, each new piece of equipment, adds another flavor to the stew! Keep ’em comin’.